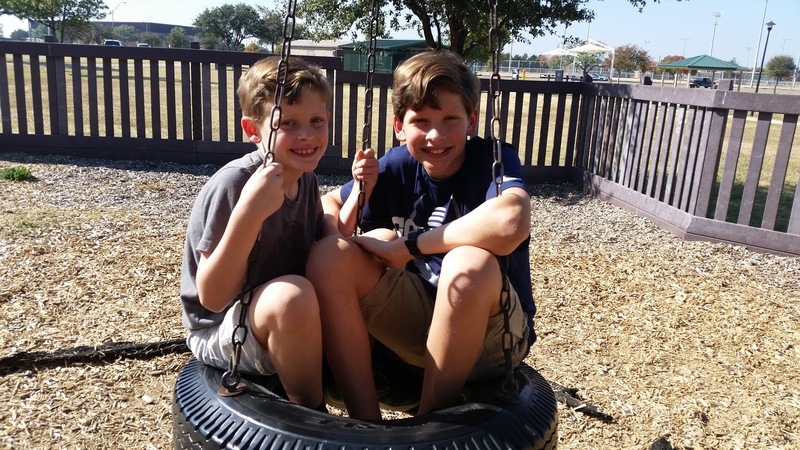 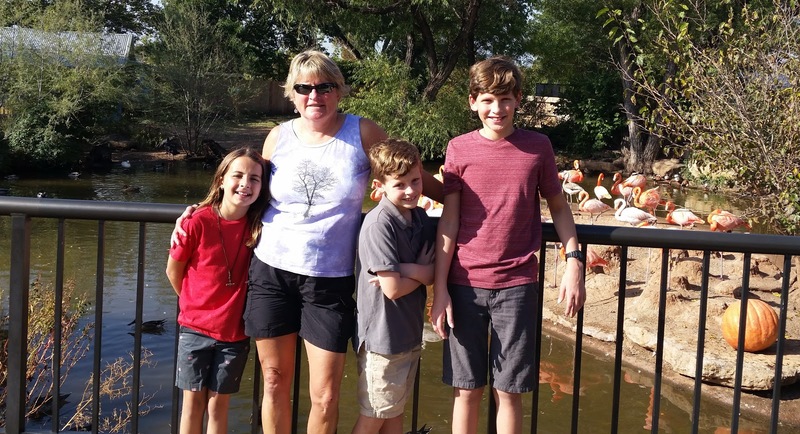 In November, the boys and I went to Abilene to visit family, with the added bonus of visiting my mom / Granny, who came from Virginia. 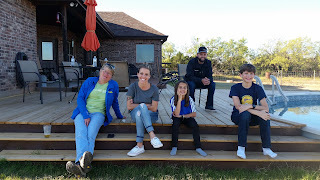 Sitting on the porch at Elizabeth's. 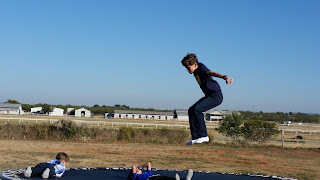 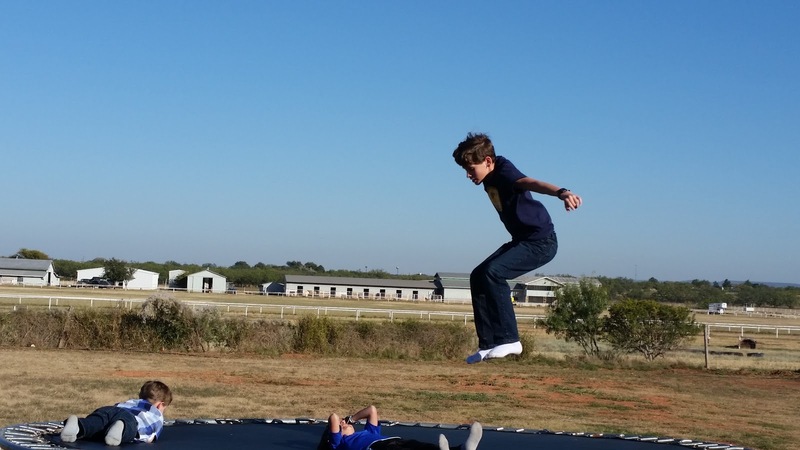 Dawson, Brady, and Caselyn had lots of fun on the trampoline. 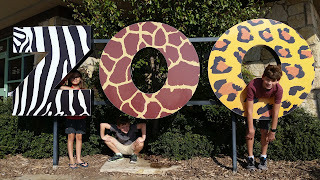 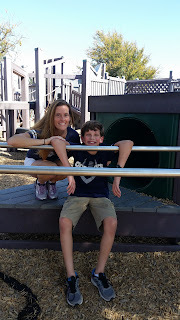 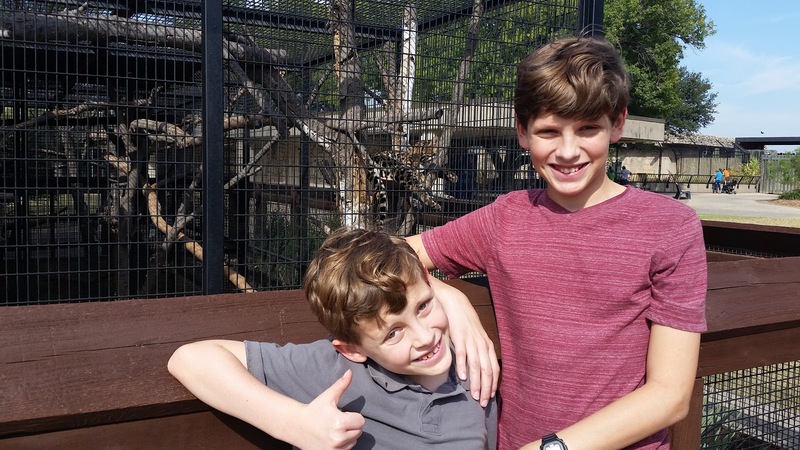 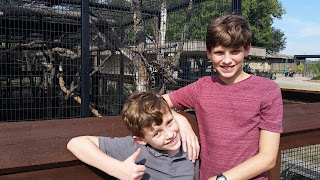 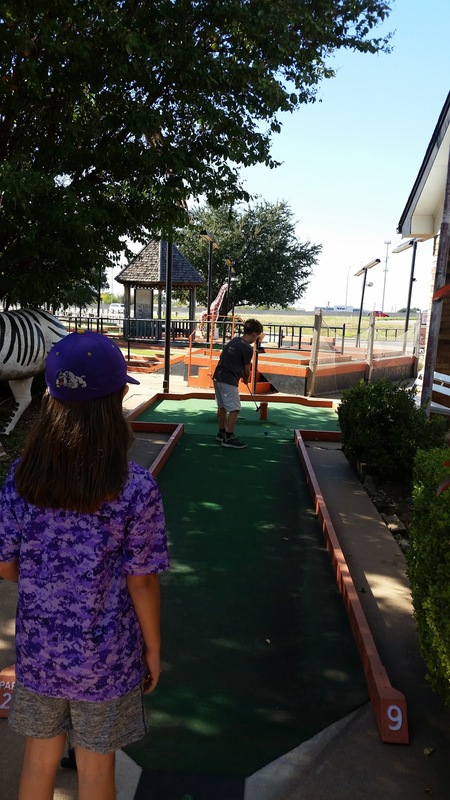 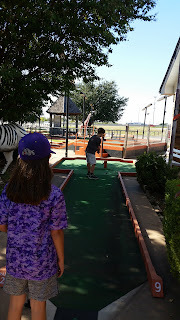 We go to the Abilene Zoo almost every time that we are in town. 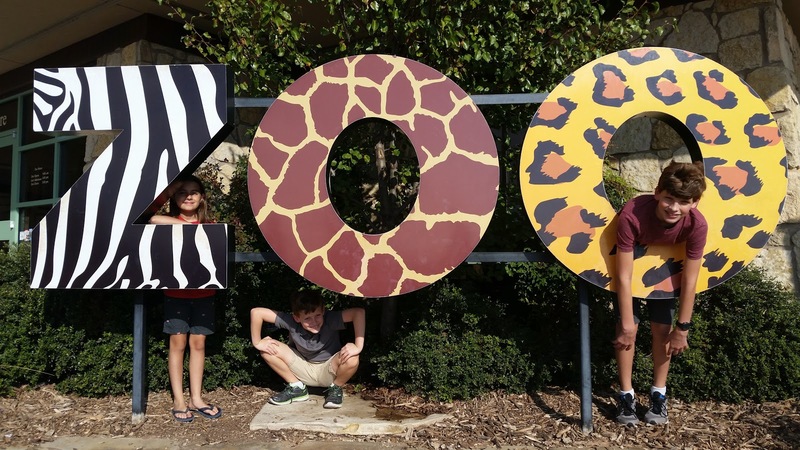 It's a great small town zoo! 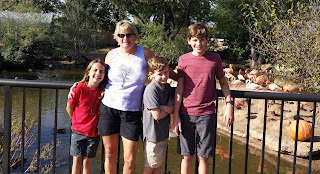 Granny and the grandkids by the flamingos. 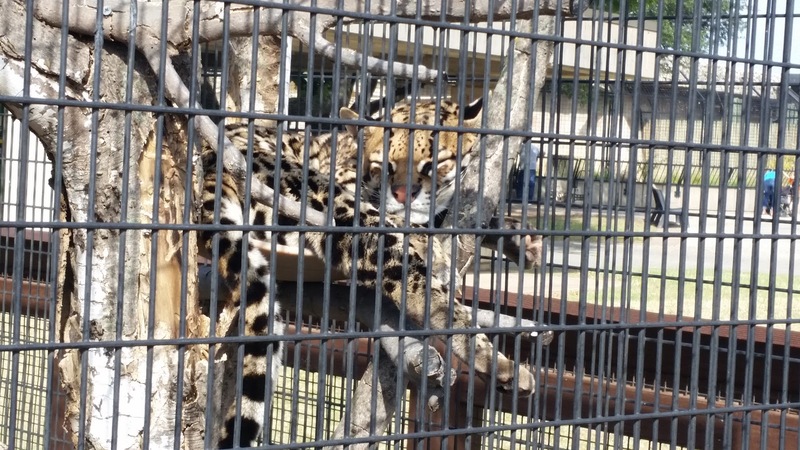 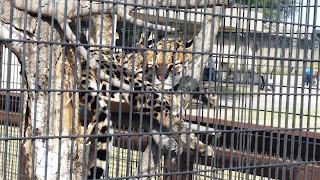 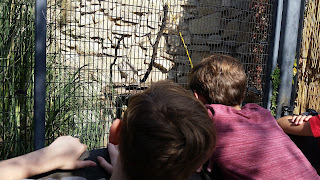 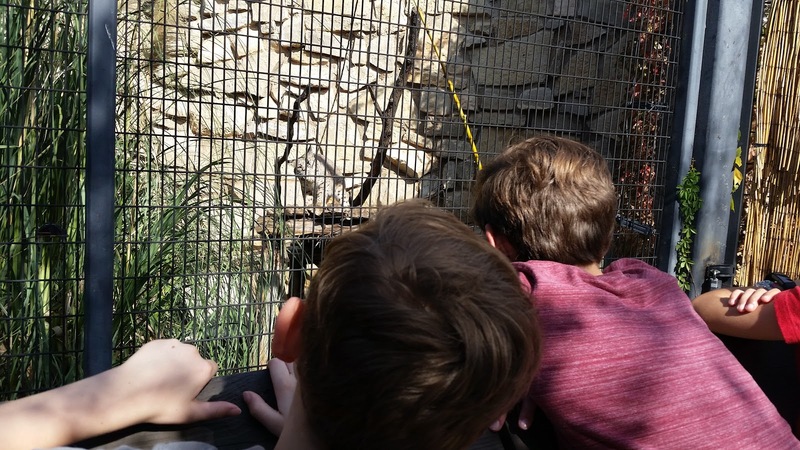 Everyone enjoyed watching the zookeeper play with the bobcat with a ball-on-a-string cat toy. 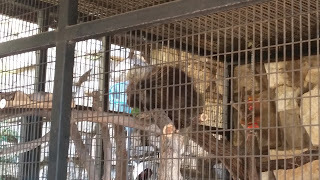 The porcupine was out and crawling around his/her cage. 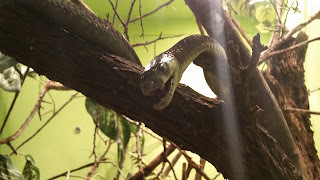 One of the boys got this cool and creepy picture of one of the snakes. 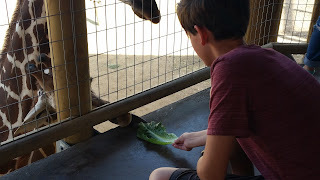 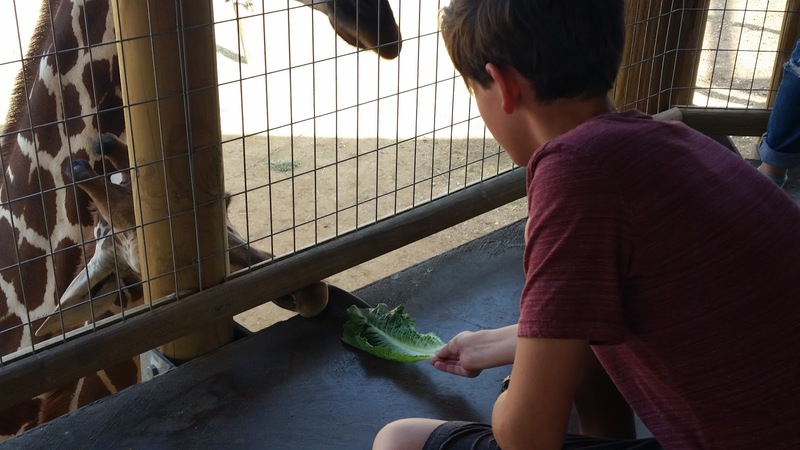 Feeding the giraffes has always been a highlight of our Abilene Zoo visits. 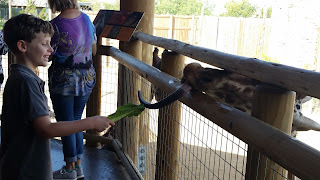 Dawson feeding the baby giraffe. 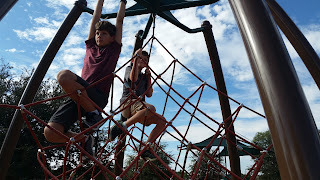 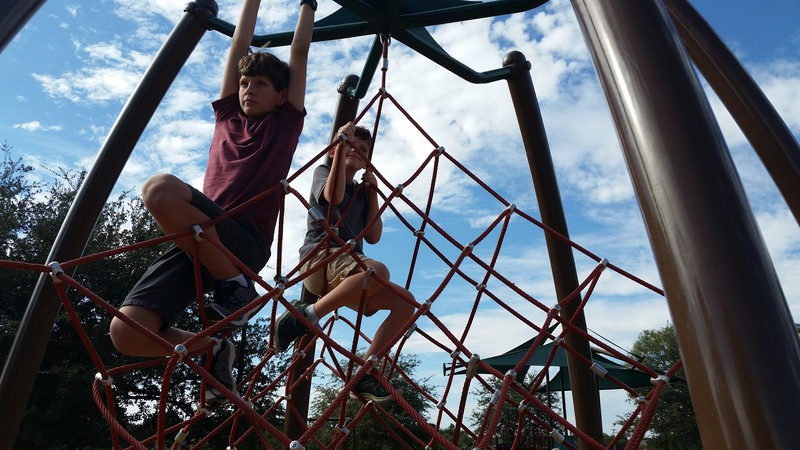 Climbing the ropes at the park. 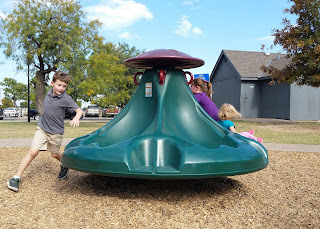 Brady had more fun pushing others around the merry-go-round than he did riding it himself. 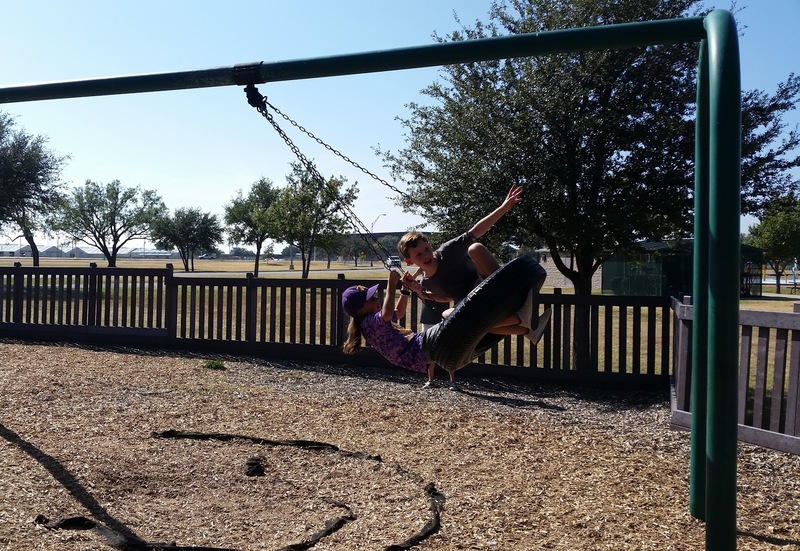 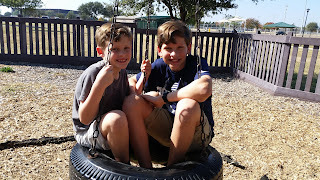 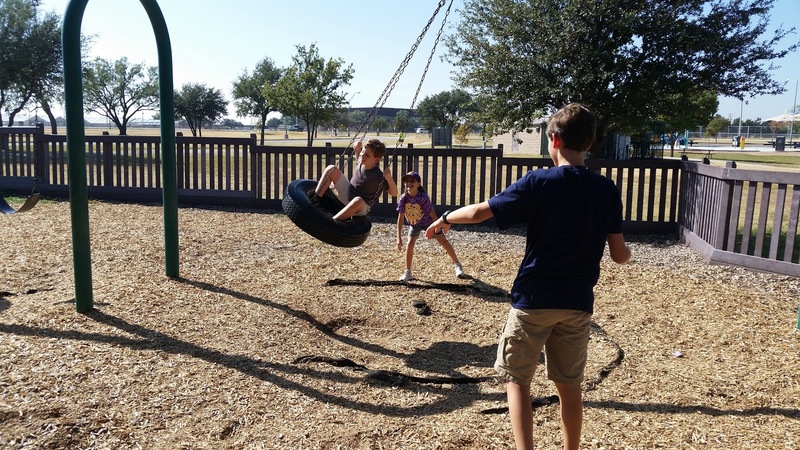 The tire swing is the highlight of the park by the zoo. Dawson and Caselyn pushing Brady around and around and around and around. 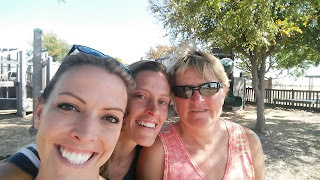 My sister, me, and our mom. 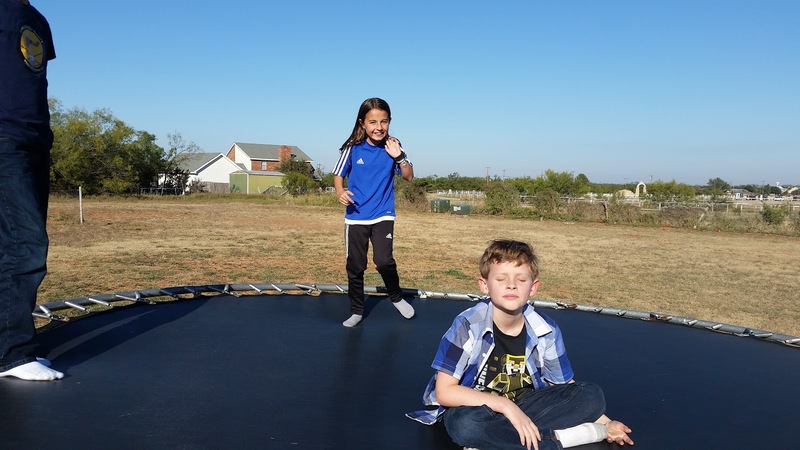 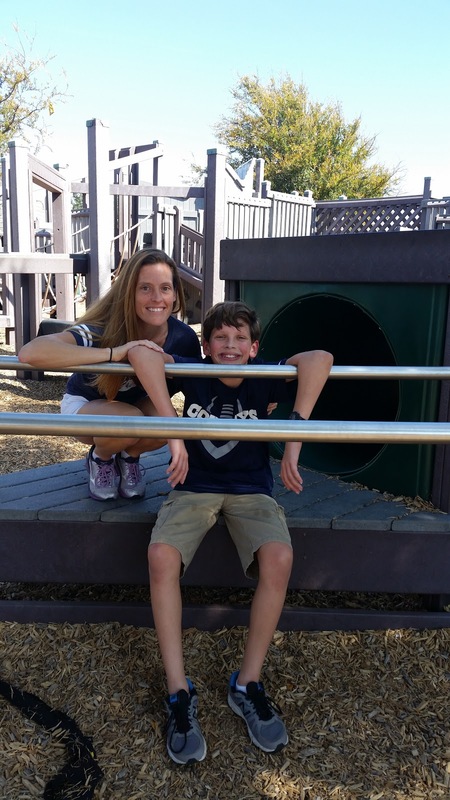 Brady and Caselyn really enjoyed hanging out with each other. 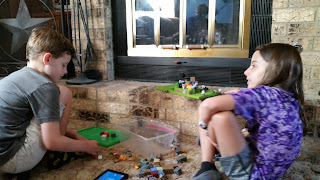 Here, they were making Minecraft videos. 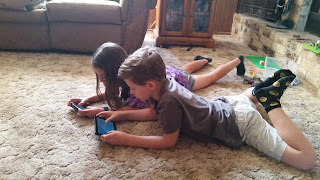 And playing Minecraft on their Kindles. 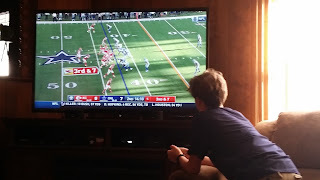 If football is on TV, Dawson is watching it. 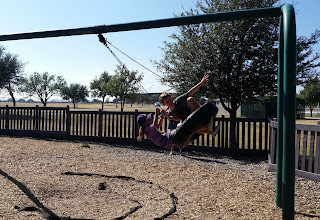 This was precious! 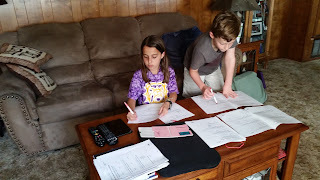 Caselyn and Dawson grading homework from Sandy's 1st grade class. 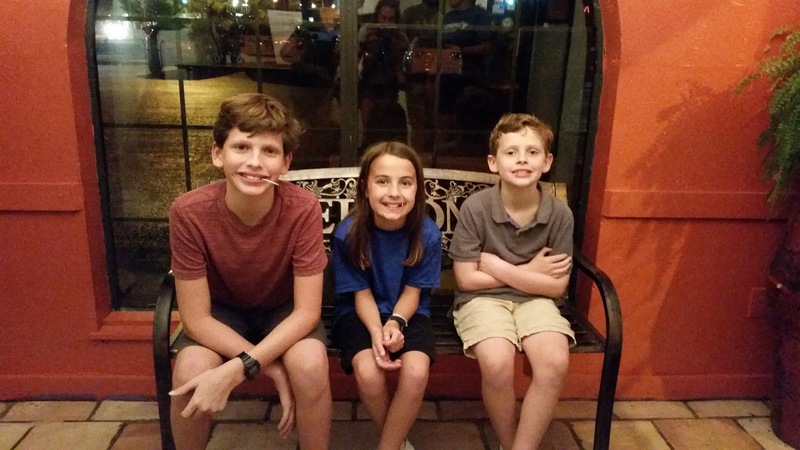 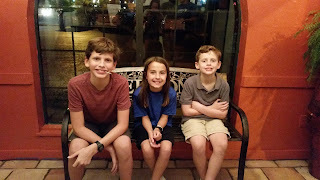 A quick picture after a delicious meal at Casa Herrera (best Mexican food in Abilene).